Melanin is a known natural defense against skin cancer, but can it help fight other cancers as well? Researchers have found that melanin-loaded nanoparticles can help diagnose tumors and slow their growth. Dark colors absorb light, causing them to heat up and melanin uses this as a way to prevent the sun's UV light from burning our skin by dissipating the energy as heat. As it is a great absorber of light and producer of heat, melanin is perfect for use in optoacoustics. This refers to a technique that mixes light and sound, first, weak laser pulses are shone onto tissue to gently heat and expand it, as the tissue begins to cool and contract, ultrasound waves are produced. Special sensors can read the waves and determine the type of tissue and whether or not it is cancerous. To find out how well melanin performed in this situation the team loaded the pigment into nanoparticals and then injected them directly into tumors in mice, then heated gently with infrared laser pulses. 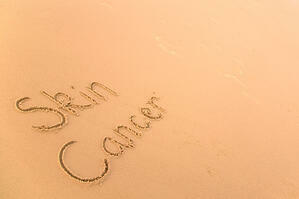 How can you protect your self and/or treat skin and other cancers? Take Xymogen's CoQMax Ubiquinol daily for the best protection against Melanoma. CoQ10 Ubiquinol has been shown to prevent malignant melanoma, squamous and basal cell carcinoma. Chemotherapy and radiation cause oxidative stress and a host of side effects. Several cases published in the German literature show that ozone therapy combined with standard oncology produced positive effects, decreased side effects and created less resistance to chemotherapeutic drugs. While chemo and radiation might be effective in individual cases it is not necessarily safe or affordable. Two out of every 5 patients who follow standard of care for cancer get diagnosed with a secondary cancer that is more lethal. So you survive the first cancer only to face a more virulent one. Ozone therapy is safe, effective and affordable. Ozone does not cause cancer. Did you know we offer The Greece test? This is the most comprehensive test to find cancer, identify what treatments, both alternative and standard are best for your cancer and see if your treatment is working.